I've got a sketch challenge up on the Lily Bee blog today! We are playing with the Index Journaling Cards all week. These essential elements are so versatile...they can be used as a standalone part of your overall layout or card design, a photo mat, a great place to do your journaling and the list goes on. I created a sketch, which can be found on the Lily Bee blog, specifically with these cards in mind. I hope you'll play along and post your fabulous creations to our Flickr Group! Here's my take on the sketch. I used the Autumn Spice collection and altered the sketch slightly, adding more base layers under the strips. 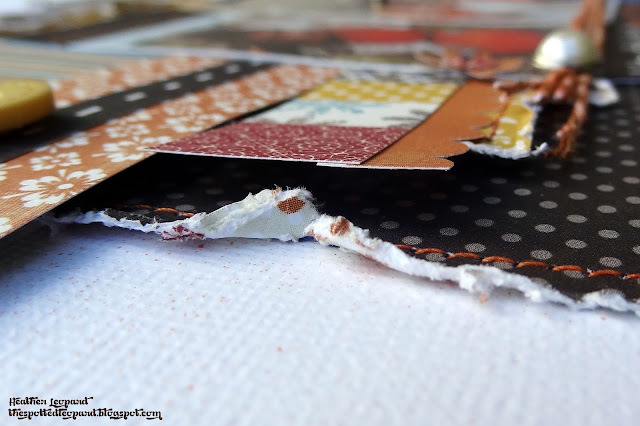 Creative How-to: I used three index journaling cards, slicing and dicing them to fit the layout just so. I cut the top tab off the "November" index card and then tucked the tab portion to the top right of the photo section. I used the card that says picking pumpkins as title for the layout. Here's a little peek at the layers. I distressed the larger layers and kept the strips intact with more clean lines, added some stitching and then I scattered a few embellishments over the layout. Journaling: I used this index card for my journaling and wrote my story so that it would end with the sentiment that is already pre-printed on the card. 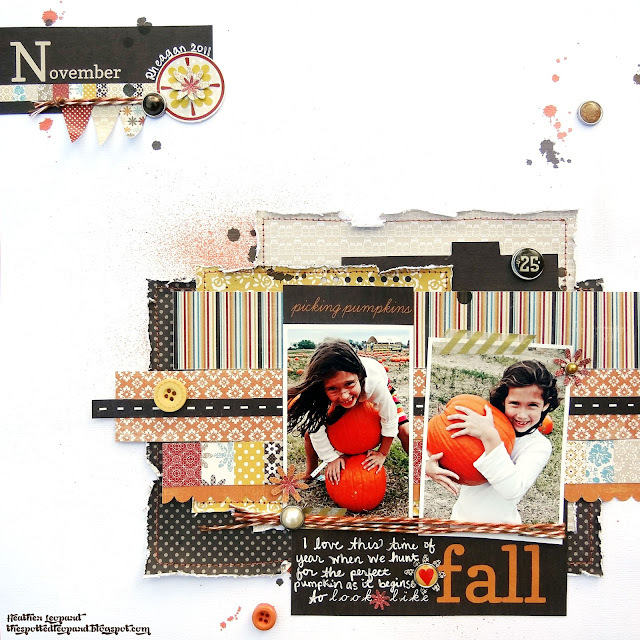 Head over to the Lily Bee blog to see the sketch and how Nicole used it for her layout. Thanks for stopping by today! 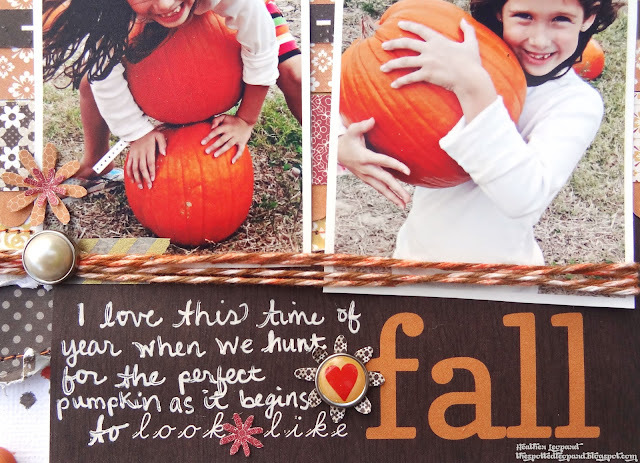 Super cute pics and love the layout! 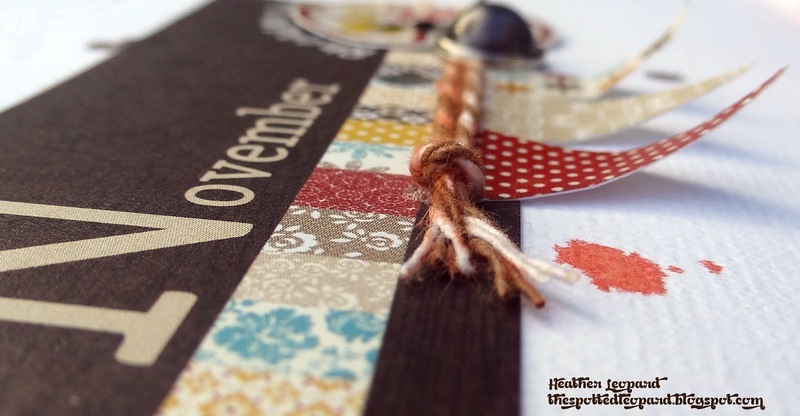 Love all of the layered papers, Heather and the twine around the photos is so fun! oh my goodness this is GORGEOUS!! Absolutely fabulous Heather!! I love this!! Just gorgeous! I loveeeeee the colors and the stitching!!!! What a sweet little combination! Great papers for the theme. This is a fabulous layout and I love and appreciate your closeup shots. Wonderful layout - love it!